Kap-Sun Hwang is an outstanding figure in his métier – untiring, a researcher, someone who explores with incredible rigorousness and persistence the options offered by material, chemistry, their composition and their combination. He is an artist of perfection, a master of subtlety and reduction. Pure minimalism, but richly-facetted in an unprecedented manner. 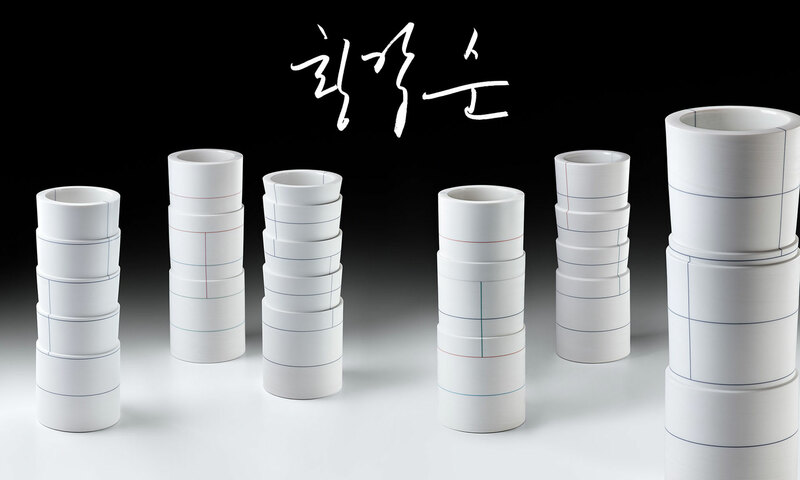 He has succeeded in uniting the ancient tradition of Korean ceramics with European colored modernism. He studied in Korea and Germany and has taught in China, the country from which porcelain originated. He combines ancient pottery tradition with cutting-edge industrial production. He teaches at the National University in Seoul and studied at the Muthesius Art Academy in Kiel. He works as a ceramic artist in the 21st century but he learned under Johannes Gebhardt, a member of Gruppe 83 (Group 83). He both produces one-off pieces and promotes the importance of industrial norms for industrial production. Kap-Sun Hwang has succeeded in uniting what seemed irreconcilable by creating something new from the experiences of different cultures. His works can easily withstand comparison with the most precious moon vases by the great Korean masters. He has not only cultivated the dialog in the communication of cultures but also advanced it. His work is an outstanding example of what is possible in an industrially shaped global world, which is conscious of its cultural differences and craft traditions. When you add his inquiring mind the result is something completely new, which is as natural but also as masterly as the works of Kap-Sun Hwang.